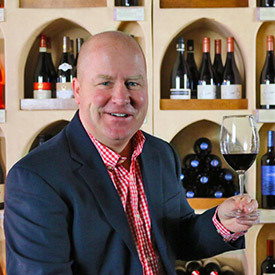 Bryan McGinness serves as the Chief Executive Officer of WineStyles Tasting Station and oversees the brand’s overall strategic growth and development. McGinness’ career with WineStyles Tasting Station started in 2006 when the entrepreneur, along with his wife, Andrea, opened a WineStyles location in West Des Moines, Iowa. McGinness was responsible for maintaining high standards of operation including merchandising and executing various marketing and grassroots initiatives, while providing ongoing support to drive traffic and maximize sales for the stores. In November 2012, the McGinness’ were presented with the opportunity to purchase the entire WineStyles concept from its original owner. Following the acquisition, the husband-and-wife team embarked on a journey to transform the existing concept into the current WineStyles Tasting Station where customers can Taste, Learn and Enjoy® the best in fine wines, artisanal cheeses, chocolates, craft beers, and other gourmet items. Prior to WineStyles Tasting Station, McGinness spent more than 20 years with the Maytag Corporation where he held multiple positions and served as president of a regional landscaping company for four years. McGinness lives with his wife Andrea and their three children in Clive, Iowa.